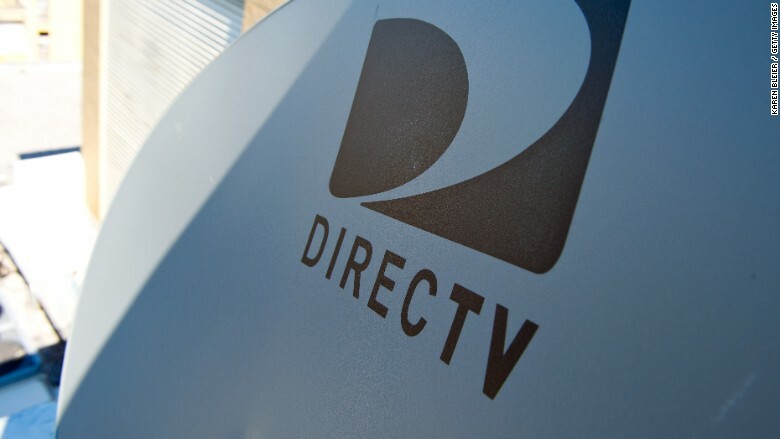 DirecTV company will ditch the blue and white "D" logo that it has used since 1990. DirecTV is getting a brand new look for the new year. The satellite TV company will ditch the blue and white "D" logo that it has used since 1990. Instead, DirecTV will adopt the blue and white globe logo used by its new parent company, AT&T, according to a source familiar with DirecTV's plans. A spokeswoman for AT&T said that AT&T will become the "corporate brand" for its television products, including DirecTV and its AT&T U-Verse cable service. While DirecTV's logo will change in January, AT&T will keep the DirecTV brand name "for the forseeable future," the spokeswoman said. U-Verse will also adopt the globe logo, and it will drop its "AT&T" moniker. The news was first reported by industry blog DSLReports. AT&T (T) has previously stated that it will combine its television offerings into one, single platform in the next two to three years. Some news reports have said the DirecTV brand will go away after the services combine. But the person familiar with AT&T's plans said discussion of killing the DirecTV brand is premature. AT&T still views DirecTV as a valuable brand, and no decision has been made about whether or not to kill off the DirecTV name. DirecTV's logo will be going away in 2016. AT&T bought DirecTV for $49 billion earlier this year to expand its content offerings across screens of all sizes. Similarly, Verizon (VZ) bought online media company AOL this May for $4 billion, and T-Mobile (TMUS) is rumored to be mulling a merger with DirecTV rival Dish Network.